The school-wide science fair Peter Parker (a.k.a Spider-Man) has been eagerly awaiting has finally arrived! Peter has always excelled at science, and after getting the boot in a basketball game earlier that day, he could use a little pick-me-up. So imagine Peter's surprise and dismay when basketball great and all-around-bully Flash Thompson shows up with a totally awesome project! But when the science fair is put in jeopardy thanks to the antics of one Doc Ock, Peter will need to team up with fellow ?bugz' Ant-Man and the Wasp to save the fair and the people in it- even if it means someone else walking away with the prize. 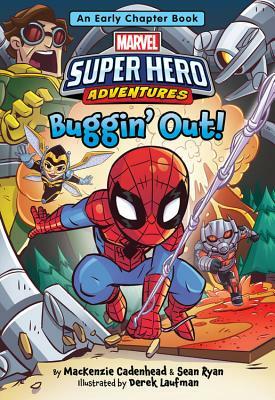 Great things-and even bigger surprises-come in tiny packages in this third installment in Marvel's Super Hero Adventures early chapter book series.